View basket “Tiger Soldiers (Boarding Shotgun)” has been added to your basket. 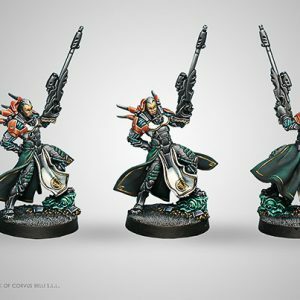 Yu Jing is currently in danger. It’s not an economic question, nor is it a social question, and it’s also not an alien threat. It’s envy felt by our rivals. The prosperity and stability of our society, along with our accomplishments and advances, are the wonder and envy of all other powers that undeniably feel threatened by the glory of the StateEmpire. 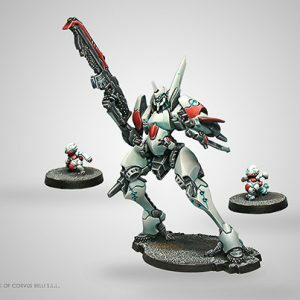 Yu Jing advances unstoppably towards its destiny and our rivals will do anything to thwart it. This is why Yanjing remains vigilant to the outside. However, it is within, inside our own home where our enemies can easily hide themselves, spreading their venom into the ears of our citizens, corrupting them with their liberal ideas that are the antithesis of the Party’s program of well-being. To watch and monitor all subversive activity the Imperial Service has created the Kanren (Bold Edge) Counterinsurgency Group. 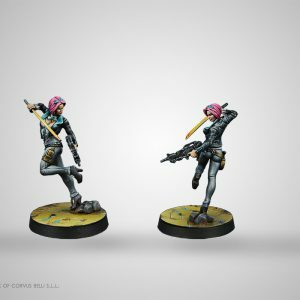 This unit is made up of brave men and women that track all kinds of insurgent, subversive, or radical groups that may want to implant themselves in Yu Jing. Their modus operandi is based on undercover infiltration into their ranks to gather information and learn everything necessary about said movements. Before delivering the blow that will break the group apart, Kanren operators identify and locate all of its leaders and members, as well as their sources of financing, support networks, and allies. In this manner, they ensure the insurgent movement is completely destroyed without any possibility of regrouping, guaranteeing the security of the StateEmpire. However, the work of these men and women is not easy, having to act without any support protecting their covers, and on numerous occasions revealing their identity as law enforcement agents prematurely in order to avoid a catastrophe. That is the type of operations they must fulfill: one of them against all of them. These operatives are therefore specialized in close combat and urban combat techniques. This is the reason behind the name of the unit, Kanren (Bold Edge), because they are the sword of justice that stands alone in the wolf’s den.